Some people collect wine or paintings. Others like stamps or model trains. Then there’s Ben Stein, a writer, actor and economist, and his wife, Alexandra Denman: They collect homes. The couple owns 13. They’ve got a house in Beverly Hills and one in Malibu, plus two West Hollywood condominiums. Then there are two Washington, D.C., apartments, a house in Rancho Mirage, Calif., and a condo to boot. And there are others. Though an economist by trade, Mr. Stein said his investments—none of which are rented out—don’t represent a cagey financial plan. Instead, it’s a syndrome: “I would say I’m a house addict,” Mr. Stein joked. Self-diagnosed house addicts are a rare category of property buyers who acquire homes not necessarily to rent them out, flip them or because they need a place to stay. They do it for the thrill of the purchase and the fantasy a new home can inspire. In some cases, multiple home buyers come out on top financially. In other cases, their proclivity for property has dismal financial consequences. Many well-off Americans own more than one home: The 2013 Survey of Consumer Finances from the Federal Reserve showed that just under 40% of respondents in the top 10 percentile of income owned at least one second home. World-wide, people with at least $30 million in assets have an average of 2.9 properties, according to a report published last year by global research firm Wealth-X and Sotheby’s International Realty. The world’s 2,479 billionaires have an average of four homes apiece. True house collectors easily blow past the averages. Robby Browne, a real-estate agent with Corcoran Group in Manhattan, owns four apartments in a building on Central Park West, and one unit in another park-side building one block away. He is currently shedding a West Village apartment, which is on the market for $5.35 million, only to buy another one, which is in contract for $6.5 million. He also spent roughly $1.5 million building a house in Bridgehampton, N.Y., near the beach. Some of Mr. Browne’s acquisitions have been very lucrative, while others demonstrate that passion, not profit, is the guiding force. Comparable units to one he owns on Central Park West currently sell for about three times what he paid for it, and he makes $18,000 a month renting it out, he said. His four apartments in one building seem less logical: He lives in one, uses another for guests, and has two small units—under 100 square feet each— that he uses for storage, he said. The West Village apartments represent his long-held ambition to move downtown—“but in the end I can never bring myself to,” said Mr. Browne. After realizing he couldn’t face the move, he leased the unit he is selling. He still hasn’t decided if he’ll move into or rent out the new one. Mr. Browne said he has almost always made money on the 22 properties he has bought and sold over the past 30 years, though not as much as he would have if he’d invested in gentrifying parts of Brooklyn or Queens. Though buying in prestigious neighborhoods can be a sound financial investment, house collectors say they are not primarily driven by the bottom line. Part of Mr. Stein’s motivation: “I don’t like noisy neighbors,” he said. His sensitivity to noise prompted him to buy not one but four condos in a resort- style building on Lake Pend Oreille in Sandpoint, Idaho, where he and Ms. Denman spend summers. Starting in the mid-2000s, they purchased their own three-bedroom unit, plus the one next door and two downstairs, so that no neighbors can cause “any vibrations,” he said. It was a neighbor’s loudly ringing telephone that prompted Mr. Stein to purchase the apartment next door to his in a West Hollywood building. Why didn’t he just sell his unit next to the noisy one? He loves the “fantastic view” from the building and enjoys the peace and quiet in the apartment, he said. Plus, that condo could sell for roughly $700,000, said Anna Sadowska, an agent at Teles Properties—over a half-million more than he paid for it in 1997. Beyond noise issues, he theorized that his love of homes stems from his mother’s interest in property at time when Jewish families like his were barred from purchasing in many neighborhoods of Washington, D.C., where he grew up. “It very much means something to me that I can live wherever I want now,” said Mr. Stein. Thomas Yue, an anesthesiologist and president of Regional Anesthesia Services, a provider of doctors and nurses in Minnesota, owns three houses on the Hawaiian island of Oahu and is in contract to buy two condos in Ward Village, a new development under construction between downtown Honolulu and Waikiki, for a total of $3.7 million. He also has a house in St. Paul, a ski condo in Vail, Colo., an apartment in San Francisco and another in Millbrae, Calif. He doesn’t rent out any of his properties, he said. Timothy Corrigan, 58, is a Paris- and Los Angeles-based interior designer who suffers from an exotic strain of real-estate addiction: He buys French châteaux, serially. In the late 1980s, he renovated his first château in Normandy and sold it for under $1 million. In 1992, he renovated another about 60 miles southwest of Paris and sold it for roughly $1.6 million. In 2003, he bought and sold a Loire Valley château within a year when a different one became available. 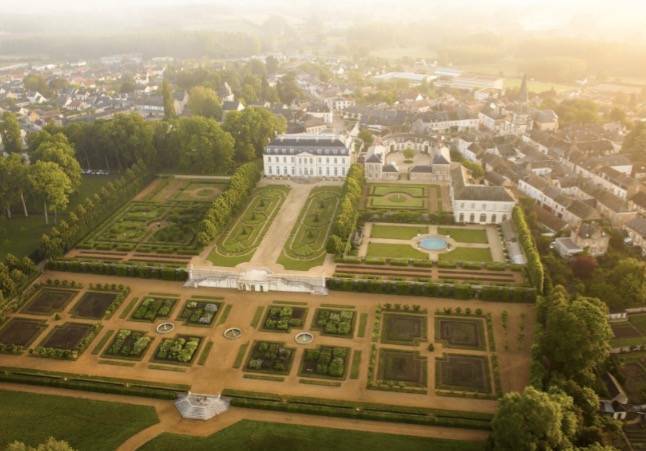 Today, that château—a 40,000-square-foot palace on 74 acres about an hour by train from Paris—is on the market for $11.4 million. His total take from his château sideline: zero, he said. He has lost money on every one—and will lose money again, even if the current property sells for the list price. “The restoration of châteaux is not a moneymaking business, but I just love the process,” said Mr. Corrigan.